Just like every photographer, he started from the bottom and learned some valuable lessons along the way up. 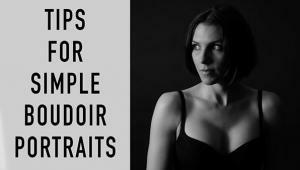 In the below video, Sasser shares the five things he would change if he started shooting boudoir today. Check out more great boudoir videos from Sasser on his YouTube channel. Learn more about him and see his photography on his website.